Compatible with all rope types, the Beal Air Force 3 allows the leader, when at the stance, to individually belay and lock off for one or two seconds. The small insert hole allows the rope to be released even when under tension. 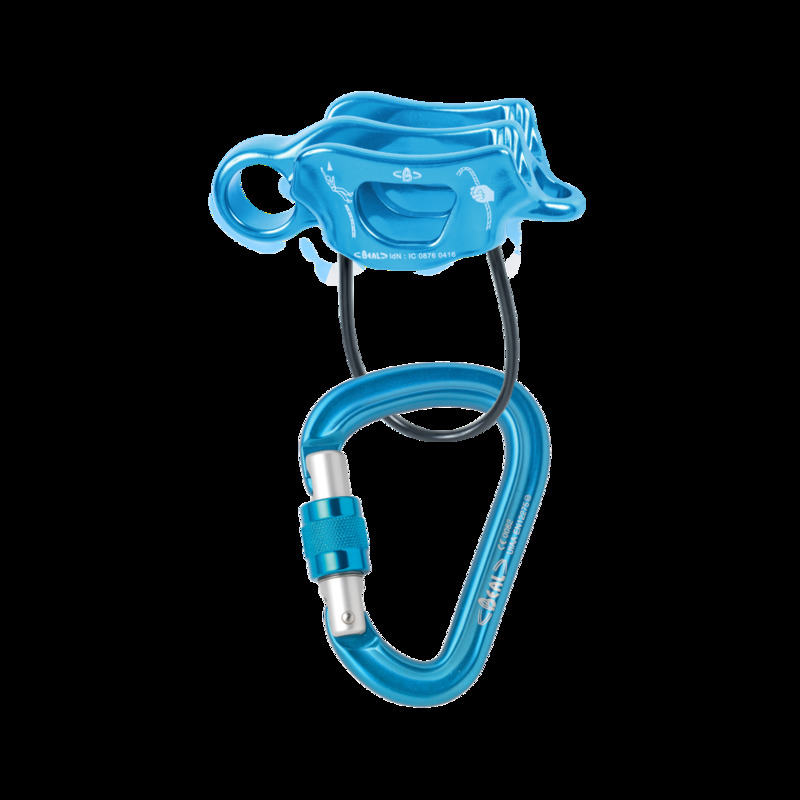 The Beal Be Safe is a screwgate HMS carabiner which is well adapted to work with your belay device. It can be used comfortably with two ropes at a time, with little risk of the two strands overlapping each other during a fall. The ideal set-up for multi-pitch, sport and trad climbing.